New for 2019. 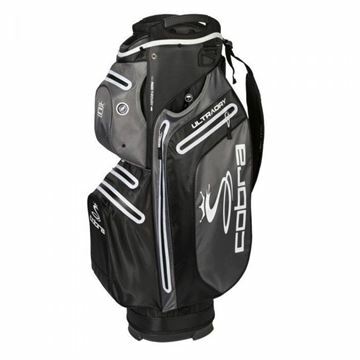 Cobra Ultradry cart bag in Black/Grey. Fully waterproof design and lightweight. 15 Way divider in full length partitions. With 5 pockets and 2 large apparel pockets. New for 2019. 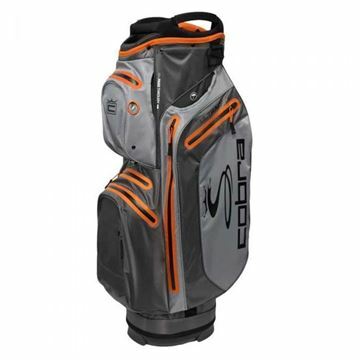 Cobra Ultradry cart bag in Grey/Orange. Fully waterproof design and lightweight. 15 Way divider in full length partitions. With 5 pockets and 2 large apparel pockets. New for 2019. 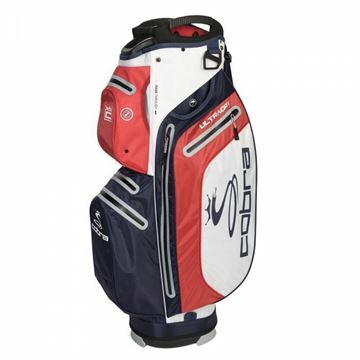 Cobra Ultradry cart bag in White/Navy/Red. Fully waterproof design and lightweight. 15 Way divider in full length partitions. With 5 pockets and 2 large apparel pockets.